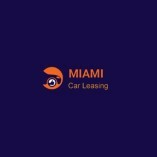 MiamiCarLeasing isn’t your grandfather’s car leasing company. Instead of having a physical car lot you’d need to drive to (often a difficult thing to do for people who are looking to lease cars! ), you can see all the beautiful, dependable cars we... have, right from the comfort of your favorite easy chair. You can take all the time you need to look through our online catalogue, with no pushy or impatient salesperson breathing down your neck.